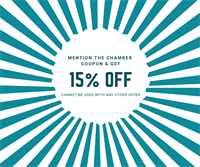 Receive 20% off our standard pricing as a New Bern Chamber of Commerce member! As windows are an important feature of any home or business, it's important to keep them clean, clear, and serving their intended purpose. At DetailXPerts, our experienced and insured window professionals can make that happen at a highly affordable price. Crystal clear windows at your home or office at a very affordable price!